You could argue that the 3 wonders of India are Yoga, Ayurveda and Tea. This blog is about an exploration into the combination of the three. 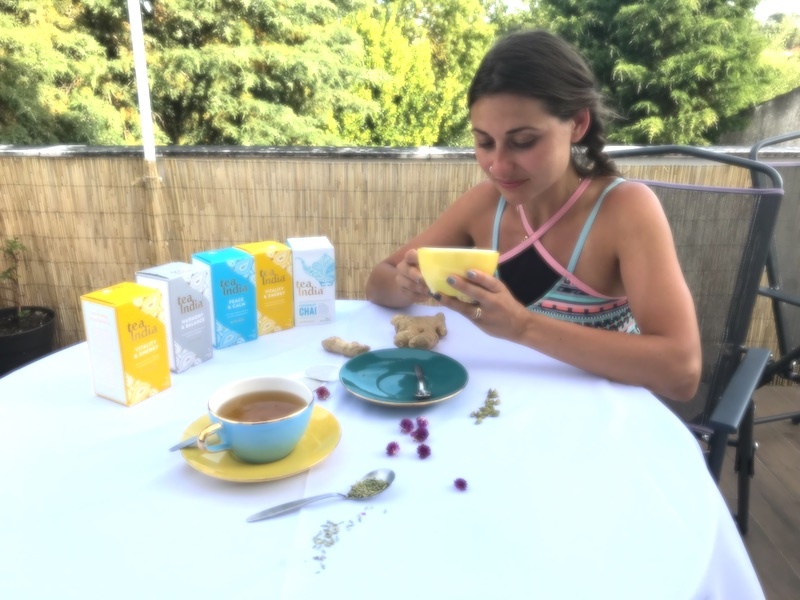 On a recent yoga teacher training, at break-time we served our yoga trainees a new delicious tea by a company called TeaIndia. The tea tasted good but even more appealing was the underlying wisdom that went into the herbal combinations of the teas. 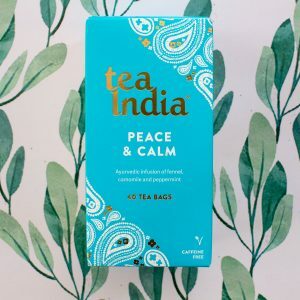 Tea India have created teas that are designed to work with your unique constitution, energy and temperament to harmonise and balance you. How you might ask? Through applying the principles of Ayurveda. 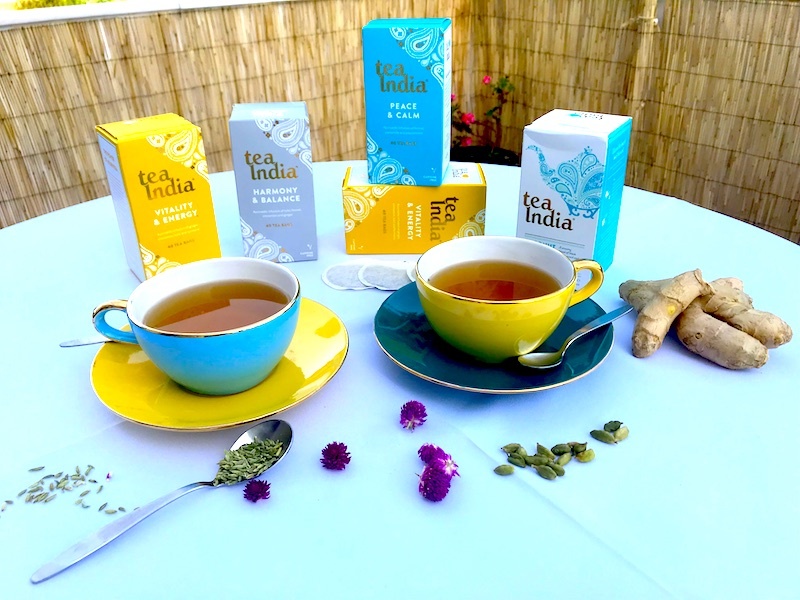 The teas provided the ideal talking point for deep discussion into Yoga Philosophy. We drank tea and learned all about what Ayurveda means for them personally and their yoga practice. Ayurveda means ‘Life / Health Knowledge. It is the science of well-being that places great emphasis on prevention of illness and encourages the maintenance of health through close attention to balance in one’s life through right thinking, appropriate diet and a balanced lifestyle. The intention of Ayurveda is greater than simply removing physical or mental symptoms of any illness. The ultimate goal of Ayurvda is to achieve a happy and fulfilling life through rejuvenation, longevity, and spiritual realization. Ayurveda teaches us HOW to create this balance of body, mind and consciousness according to one’s own individual constitution and what lifestyle changes help maintain balance. The ancient Rishis discovered the secrets of Ayurveda through their intensive practice of yoga and meditation. They found that there were certain causative factors common to all phenomena in nature and in human beings. According to the philosophy, the composition of the universe is expressed in three primary qualities (gunas) which vary on the spectrum from lightness and purity (sattva) to darkness and impurity (tamas) with the intensity and activity in the middle point (rajas). The three qualities consist of 5 elements; Ether, Air, Earth, Fire & Water and the entire cosmos is interplay of the energies of these 5 elements. 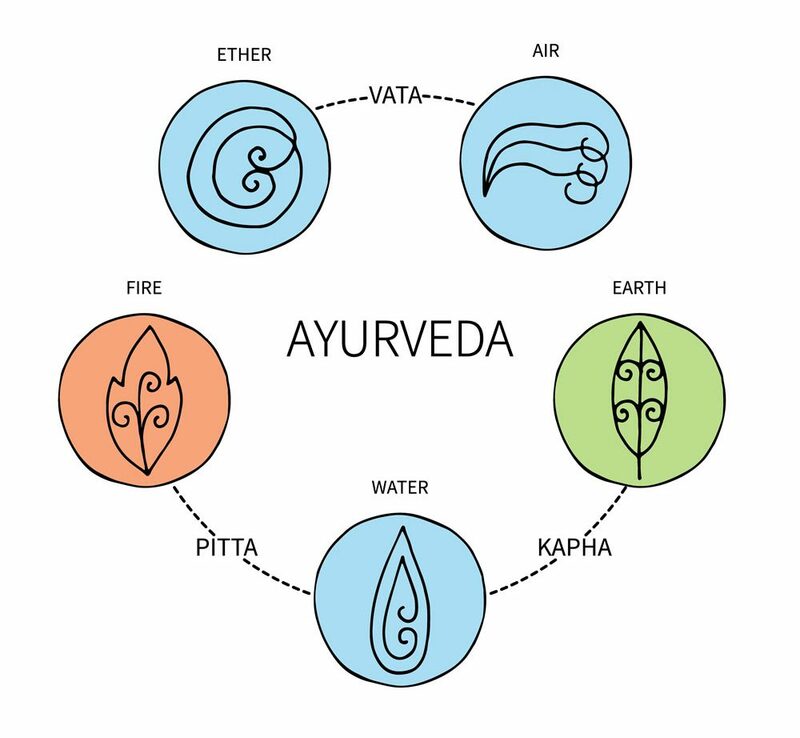 Ayurveda attests that humans are made up of various and unique combinations and configurations of the elements. Yet also, Ayurveda identifies three main elementary combination categories (doshas) which all humans can fall into. Vata is the subtle energy associated with movement composed of air and space. It governs breathing, blinking, muscle and tissue movement, pulsation of the heart and all movements in the cytoplasm and cell membranes. In balance vata promotes creativity and flexibility. Out of balance vata produces fear and anxiety. Pitta is composed of fire and water and expresses the body’s metabolic system. It governs digestion, absorption, assimilation, nutrition, metabolism and body temperature. In balance pitta promotes understanding and intelligence. Out of balance, pitta enlivens anger, hatred and jealousy. 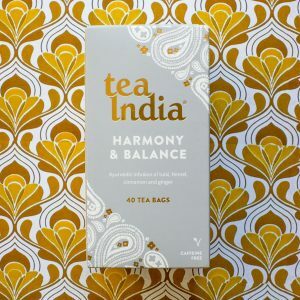 Ideal Tea India tea for Pitta is Harmony & Balance is a herbal infusion blend of tulsi, fennel, cinnamon and ginger. Kapha is the energy that forms the body’s structure. Bones, muscles, tendons and provides the ‘glue’ that holds the cells together, formed from the Earth and Water. Kapha lubricates joints, moisturizes the skin and maintains the immune system. In balance Kapha is expressed as love, calmness and forgiveness. Out of balance it leads to attachment, greed and envy. 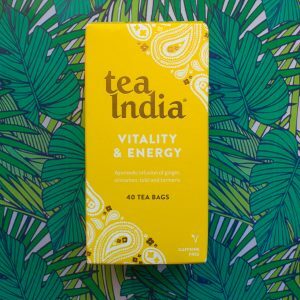 Ideal Tea India tea for Kapha is: Vitality & Energy herbal infusion is a blend of ginger, cinnamon, turmeric and tulsi (holy basil). Everyone is said to be predisposed to a combination of the doshas which make up their constitution. This constitution is known as their ‘prakruti’, which is determined at conception by a number of factors and remains the same throughout one’s life. This is the person’s basic nature- whatever your prakruti happens to be, in order to live in health and balance, it is recommended to try and maintain it yet also it is necessary to express and experience a degree of all three doshas. A person’s dosha can deviate away from their prakruti throughout their life due to many factors both internal and external. Examples of these factors include emotional state, diet and food choices, seasons and weather, physical trauma, work and family relationships. Doshas provide the mould you were cast in, but do not contain one’s fate. To be short or tall, indecisive or determined, anxious or calm is to be a type, yet there is abundant room for all the things that a body type cannot control – thoughts, emotions, memories, talents, desires, etc.